The answer is simple, any electrical installation should be carried out by qualified electricians. At Thomas Solar we have two fully qualified electricians steering the ship and our installation crews are also high up on the ladder of expertise with years of experience in the electrical industry both residential and commercial. Our focus is to deliver quality solar systems to our clients using only the best components available installed to the highest standard. We offer Grid Tied, Off Grid, Hybrid and Battery backup Systems with the option of remote monitoring via your laptop or cell phone. Why do you want an audit? Typically a battery backup does not have any solar connected to it. We use an off grid inverter which uses power from the grid or a generator to charge the batteries. 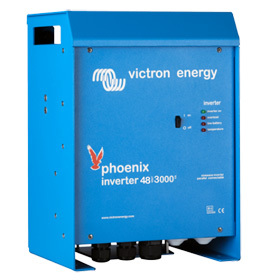 In the event of a power failure this inverter will used the stored energy from the batteries to keep powering the connected loads. Solar panels can be added to this setup at any time turning it from a battery backup only to an off grid solar system generating electricity and thus paying for itself over time. What is an Off Grid System? 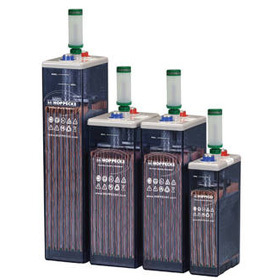 This system can run independent of the grid but if available the grid will be used to grid assist when the load exceeds the power being produced by the panels and the batteries. This system has batteries so is perfect for storing power to run your home through the night. Never again be interrupted by Eskom load shedding. A generator can also be added to this system. Grid tied means that the installation is tied into the utility grid in our case Eskom. We apply to council and purchase their bidirectional meter. The power produced by the sun can be used to power daytime loads and any excess will credit the meter which can then be used for night time consumption. There are no batteries in this system so it is generally cheaper. You can add an off grid inverter later turning the system into a hybrid system. The problem with this system is that when the utility goes down or we have kids bedding the systems disconnects to avoid power going into the grid. You can however have a generator or smaller backup for essentials installed. Hybrid is a combination of both and by far the best system. A grid tied inverter will send the power produced from the panels into the grid and power your home. The off grid inverter will be linked to this grid and use that power to charge the batteries. This off grid inverter will then be used to power night time loads and in the event of a power failure keep sending power to anything connected to it. A generator can also be added to this system. These convert the energy from the sun into usable DC power. Each panel consists of many smaller photovoltaic cells. 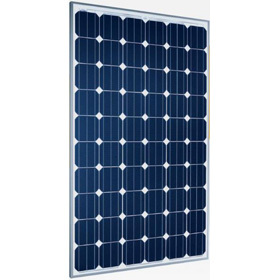 You get polycrystalline and monocrystalline panels each with a 25 and 30 year warranty. It is important to use quality roof mounts that can also last that long. Is used to convert the direct current (DC) into alternating current (AC) that we use in our homes. At Thomas Solar we only install the best products such as the SMA, VICTRON and FRONIUS inverters. The intelligence of the inverter and the programmability will largely determine the efficiency of your solar system. Are used to store the power produced by the solar panels and are generally charged via an inverter. There are many types of batteries on the market some safe to have inside and others not. Like wise some are maintenance free and others are not. Quality GEL batteries will last 5-10 years whilst the standard LEAD ACID for example might only last 2. It is highly recommended to only use quality batteries.